The UK’s leading video games retailer, Game Retail Ltd, is teaming up with global games service provider Multiplay to support the UK’s gaming community at Multiplay’s Insomnia UK Gaming events. 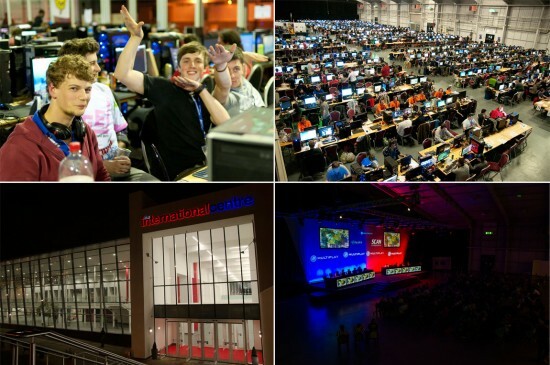 Whether it’s huge eSports Tournaments on PC and Consoles with thousands of pounds to be won, an Exhibition Hall bursting at the seams with the latest games & technology, or simply a group of friends coming together to enjoy the games they love; the Insomnia “iSeries” festival has long been a social hub for the UK gaming community. Commencing with Insomnia 49, which takes places over the August Bank Holiday weekend (23-26 August), GAME will be the official retail partner for Insomnia for the following year, providing expert staff and a whole range of stock to give Insomnia attendees a destination for all their gaming needs throughout the weekend. Whether gamers want to enjoy earning GAME Reward points on Steam Credit top-ups, grab a new console game or PC game code for GAME’s PC Download store, or pick up high-spec accessories for a competitive advantage, attendees won’t need to leave the event, or look further than the GAME stand at Insomnia. Tickets for Insomnia 49 from 23 rd-26 th August are available at:http://insomniagamingfestival.com/tickets/. For more information on Insomnia gaming events and Multiplay, please visit:http://insomniagamingfestival.com/. To find out more about GAME community events that are happening throughout the year, please visit: www.game.co.uk/events.